Home Nefetiti The Things They Hoard – The European Miracle. "Greed is Good. And Greed, by any means necessary, is even Better. This is, in sum, the totality of the European Miracle. European philosophy is an ideology of destruction. It is Anti-Africanness. It takes a natural sin and turns it on its head. European philosophy claims that Sin is Good. Wickedness is even better. European philosophy is unfit to lead the world into a better future." ~ Narmer. What things do people buy? How many things? Who sees these things? These are some primary questions that define and dominate the lives and purposes of people who idolize and idealize material culture. People seek employment to buy things far beyond basic subsistence. Food, clothing, and shelter are the least of their worries. Their obsession is to collect materials. There’s a psychological fulfillment involved. Buying things makes them feel good. It gives them a temporary high, a fix. Their happiness is measured by their daily ability to purchase more and more materials and to sustain this purchasing power. However, this satisfaction is fleeting and they continually need to buy more and more, a copious quantity of things, to keep up the high tied to materialism. At any price point, people are continually making purchases. The things they buy and carry vary depending upon the quality and quantity they can afford. Many people own more cars than they can drive, more clothes than they can wear, more food than they could ever eat. Addicted to their habit. Their pantries and closets and driveways get bigger but with no advanced civilization to show for it. Their consumption does not increase later in life as they have amassed many things over time, but their consumption only shifts to different purchases. Consumption is an unshakable habit. Things are their drugs. They are addicted to purchasing and accumulating things. Their addiction to accumulating things is a life-long malady. Their brains get smaller with more and more things. Their humanity diminishes to bits. The modern world, in fact, has fallen ill with this way of life, this diseased philosophy that gaining and hoarding materials and more materials is a deeply satisfying pursuit. Quite the opposite. Materialism, consumerism, or whatever name it masquerades as today is deeply unsatisfying. What is the motivation to gather things? To show them to others. To prove to themselves and others their value and worth. As if to say: They are somebodies because they surround themselves with shiny objects. The philosophy of capitalism—of production, consumption, and profit—is concerned with the primitive accumulation of things. Therefore, people who love and will not live without their capitalism uphold a worldview that is preoccupied with the hoarding of things, dead or alive. 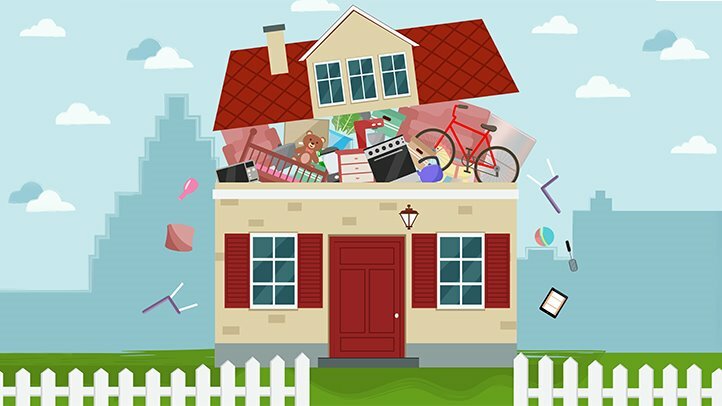 People who hoard things might collect plants, or animals, or even human beings as their prized possessions, often using their things as a means to manufacture and gather more things. They follow a philosophy originating in Europe that only values the world by the sum of its violence and destruction. The beauty in the natural world only exists when it is uprooted, manhandled and displaced. When it is caged, melded into small or large trophies to be placed into households above mantles. Like a deer’s antlers hung over a fireplace or a fish’s carcass framed behind frosted glass or a human body displayed prominently in a museum after being chained, stripped of clothing and breath and life. They have reached an apex of primitiveness, so blinded by the light that they cannot realize the comfort and security in the darkness, in being secure and satisfied without knowing and seeing, without tangible feeling. To embrace darkness is to find comfort in the intangibles. What happens to these things? Some of them are worthless and cheap, trash to begin with, and they discard them. Other things, they tire of quickly and they discard them too. Still others are non-biodegradable but they discard them anyhow. Out of sight and out of mind but not out of harm. Today’s modern man leaves behind him a stench of trash, in his wake a trail of putrid wastes. Landfills are not natural spaces deserving of rubbish, they are just segments of life and earth which they have earmarked for destruction. Places they have left aside for their unwanted things, let the earth deal with them! Soon they will realize that those abandoned things are everywhere. They can no longer hide them. They should rather stop making them. Nobody wants them. Those trashy things. The world has not seen such wastes in combined millennia as there have been since Adam Smith propped up some philosophies of western economics. European philosophies of capitalism and consumption have amassed unprecedented piles of material garbage. In mere hundreds of years, the Eurocentrists have produced more wastes than the humans of the earth did in over thousands of years. Simple mathematics would have you understand the imbalance of proportions, all the more shocking since Eurocentrists make up only a small population of today’s world. They have produced an unprecedented group of exceptional trash collectors. Obviously these individuals are in no position to lead the modern world to any environmentally safe standard. The things they carry bury any chance of that. The obsession with collecting things is not easily remedied and cured. There needs to be significant intervention into the mores and lifestyles of those affected. When we encounter someone who is obsessed with things, they are likely to deny this obsession, defend the collection of more and more things, or even tell you that you are the one who is diseased. This is a normal reaction to being confronted with a severe problem. This reaction, however, cannot dissuade those who know better from pursuing the goal of detaching world philosophies from materialism. Their philosophy does not have to be ours. We need to proscribe our own proximity to things and to understand our value and worth apart from those things. To move away from primitivity, to resist the temptation of the light and to find peace in the dark—in its warmth, gravity, and mystery. The treasures of the earth, the world, the universe and beyond are not exposed in the light. They unfold when we cannot see, when we least expect. These treasures surprise, enamor, arouse emotions, beyond our imaginations but always ground us and bring balance. The darkness helps us see the value within. Why, the responsibility of cherishing the earth’s treasures naturally falls upon the civilizations that respect the earth the most. Having the creators of Maat and their descendants in the lead are the world’s best chance at reaching homeostasis, its fundamental balance, if any human race should marshal this charge at all. Desiring and collecting fewer things is the only way forward that will guarantee a sustainable planet, the only way forward for the future of the earth and of humankind. Greed is Good. And Greed, by any means necessary, is even Better. This is, in sum, the totality of the European Miracle. European philosophy is an ideology of destruction. It is Anti-Africanness. It takes a natural sin and turns it on its head. European philosophy claims that Sin is Good. Wickedness is even better. European philosophy is unfit to lead the world into a better future. Sin is good, and wickedness, par for the coarse. That is the European miracle. You are right: African philosophies shunned the idea of greed. The European ideas embraced greed. Greed is at the foundation of capitalism, socialism, Marxism, communism, all. More greed under capitalism. With it, if greed is good, it must be fitting to kill in th e name of greed. It is as if Africa proclaimed its Godliness long ago, and built many civilizations as a result of it with European stooped at its periphery. It is as if the only way the European knew how to break in was to become the Devil. He does not have the wherewithal to percolate through into the spheres of civilization like Gods do. So the devil he became. And with that the very planet is at risk begging for the onslaught to end, soon!